Student affairs departments are using technology to strengthen relationships between students and their campus. At a time when student success is typically measured in hard data--grades, learning outcomes, graduation rates--Leslie Dare offers a spoonful of alternative medicine. "A wealth of research shows that students are more successful when they're well connected to their campus," says the director of technology services for Academic & Student Affairs at North Carolina State University. "If that sense of connection is high, they're more likely to be very successful." This story appears in the May 2013 digital edition of Campus Technology. Student Affairs--sometimes known as Student Services--is the umbrella department for an array of campus organizations that provide support services to students, including Campus Life, Housing, Student Health and Wellness, Alumni Relations, and Athletics. While these organizations function outside the realm of academics, they nonetheless play a critical role in student success because they help foster the relationship between students and the campus, insists Dare. As a separate unit from central IT, Dare's department supports the specialized systems and applications endemic to Student Affairs, but also serves as an advocate for using technology to improve the student experience. "We might be techies, but that doesn't mean we're not committed to the mission of our divisions: to support development and success of the whole student on our campus," she says. Her team takes a proactive approach to IT support: "Instead of waiting for an IT support ticket, techs are looking at systems daily, suggesting improvements, or anticipating needs because they know how the department plans to expand its programming." At Texas A&M University, the connections students form with the university begin at their home away from home--the residence hall. The 53,000-student research university is mining enrollee data to create Living-Learning Communities (LLCs)--dormitory areas made up of students that share a specific interest or academic discipline--as a way to drive student performance. "Research has shown that when students of like disciplines are gathered together in a living-learning community, the outcomes of those students are significantly better," notes David Sweeney, director for the Department of Information Technology in the university's Division of Student Affairs. The idea for LLCs was born when academic officers approached Residence Life with a "mountain of data to support the need for these communities," says Sweeney. "They asked how IT could help facilitate the project. We identified the process that Residence Life wanted to use, where we would get the data to make it happen, and then wrote an application." Sweeney's team created an auto-assignment program that combines students' dorm preferences with data from the school's CRM system, such as age, major, college, and the like. "We ask a number of questions," explains Sweeney. "What year is the student? What floor should they be on? If we can't get them in that dorm, is there another dorm in close proximity where they can live?" Once that data's collected, the application then matches like students together to create a community of learners. 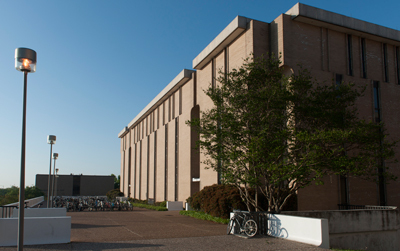 Texas A&M's first LLC was its Engineering Living-Learning Community. Housed at the campus's Mosher Hall, the ELLC is made up of engineering freshmen and aims to boost retention rates by helping first-year students transition to college life. The institution now has 11 Living-Learning Communities covering a gamut of interests, including business, science, education, liberal arts, and wellness. Each community offers support programs and activities designed to foster peer relationships, drive academic achievement, and prepare students for their future careers. The connections students form with their campus can be just as meaningful in the online realm, points out NCSU's Dare, who worked with the school's Gay, Lesbian, Bisexual and Transgender Center to launch a Facebook page for the organization. "The students and staff said they needed to connect with other GLBT students through social media," she explains, noting that Facebook can be an effective tool for reaching this marginalized student population. "Through Facebook, GLBT students can connect with each other and communicate through a forum where they feel safe and respected." Although Facebook's tools make building a page easy, Dare worked with the staff and student leaders of the GLBT Center to define their objectives before launch. "Any new social media strategy has to be connected to goals," she asserts. It also needs to comply with campus policy, fit within the school's technical infrastructure, and include analytic tools to measure performance. The page must also identify that it does not reflect the opinions of the university itself. "We make it clear that the content of these pages or networks speak only for the organization and not the vice chancellor," says Dare. Once these components were in place, the GLBT staff set up the page. GLBT student leaders monitor the page and post fresh content routinely. Dare's department provides advice about social media best practices, and is now working with other departments across the university to assist with account creation and management. In fact, NCSU is preparing to roll out a policy that will require Student Affairs involvement with departmental social media accounts. Student response to the GLBT Center's Facebook page has been overwhelmingly positive, according to Dare, with more than 2,000 Facebook members "liking" the page. While the page doesn't generate a great deal of discussion, administrators report that students use it to stay updated about campus events hosted by the center. Dare admits the school is not able to measure whether the Facebook strategy has affected retention. "We're just now starting to see research on the impact of social media on retention of students," she explains, but she's confident that the strategy has achieved its goal of creating a connection between GLBT students and their campus community. "Through social media, the organization is reaching students who are tentative about reaching out to other students," she says. "They're making real human connections. It's a powerful tool." Technology is being infused into all areas of the academy, observes David Sweeney, director for the Department of Information Technology in the Division of Student Affairs at Texas A&M University. The changes are occurring not just on the academic side, but also in areas considered the responsibility of Student Affairs--everything from housing and dining services to student health centers. Even in these outlier organizations, technology has the potential to facilitate learning, foster student-campus relationships, and drive student outcomes. And technologists such as Leslie Dare, director of technology services for Academic & Student Affairs at North Carolina State University, are passionate about their role in supporting student success. "Promoting the holistic development of our students is a critical contributor to retention and success," wrote Dare in an online discussion on Educause's Student Affairs IT Constituent Group listserv. "It's important for those of us working with technology to help others in student affairs--and in academics!--understand the impact of technology on our students' experience, both inside and outside the classroom." For this to happen, though, Student Affairs technologists need a seat at the IT strategy table. "Student Affairs organizations have computing needs that are very different from those on the academic side of the house," notes Sweeney. Specialized--and often homegrown--systems manage everything from student conduct and registration to housing and student organizations. Student Affairs IT leaders need to be involved in the discussions around technology strategy and acquisition that will affect the organizations they support. "The number of areas that Student Affairs touches is just huge," he asserts. "It doesn't follow the same kind of pattern that we would see in typical higher ed IT." Sweeney further notes that Student Affairs technologists can provide a fresh perspective on how students use technology. By bringing these IT specialists into planning discussions, colleges and universities can gain insights into potential challenges and discover new ideas that otherwise may not have been considered. "Use your [Student Affairs] IT staff to build a better university," Sweeney counsels. "They want to help their schools build systems for the 21st century. They can help implement the technologies needed."